Beijing based Evoke Motorcycles has unveiled its newest electric motorcycle. 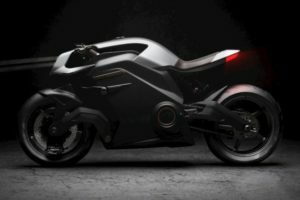 Evoke is best known for its Evoke Urban series of electric motorcycles and is now moving towards producing a larger more powerful model. The bike will be called the 6061, which pays homage to its “Twin Plate Frame”. The frame, as well as the 6061’s swingarm, are made from solid T6061 aluminum billet pieces. The 6061’s powertrain, battery modules, and tubular subsections will be mated to the twin plate frame. In addition, the swingarm is also a twin plate design and will host dual coil-over rear shocks. While a billet plate design is indeed novel, perhaps the most interesting thing about the 6061 is its powertrain. Evoke claims that the 6061 houses a 120 kW (160 HP) motor that develops 200 lb-ft of torque (272 Nm). That type of power should result in some very interesting performance figures. However, Evoke has yet to release the 6061’s top speed. Range figures haven’t been released either. 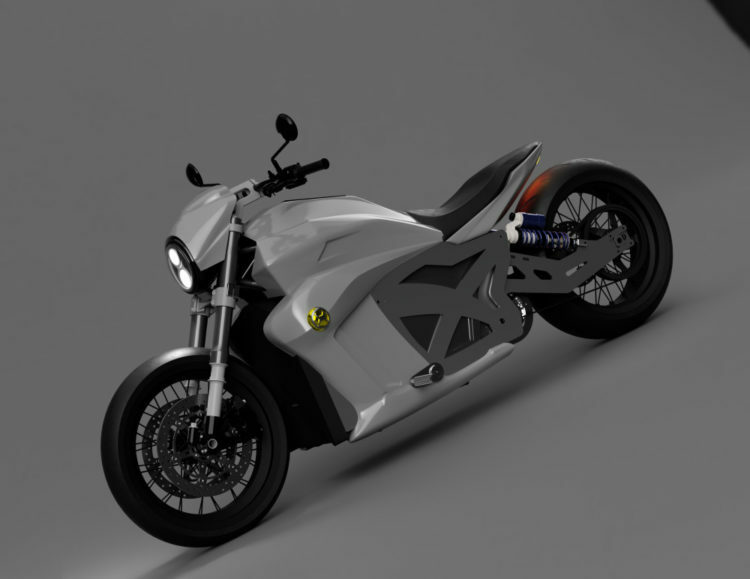 But Evoke expects the 6061’s range to exceed the city range of Zero’s SR/F and Lightning Strike electric motorcycles. Evoke also says that the 6061 uses its latest Gen 2 battery modules. They say that these batteries are capable of 80% charge in 15 minutes! If true that’s an impressive feat by current electric motorcycle standards. The quick charge is reportedly enabled by a software and hardware package that Evoke has designed to control the thermal range of the 18,650 battery cells that make up the battery pack. If Evoke is able to meet its claims, the 6061 is certainly an impressive electric motorcycle. But other companies have boasted impressive specs in the past which never materialized. When asked when the 6061 would be available, the company said their first test bike will be on the road by June 2019. Thereafter, Evoke will finalize its component choices and expects to have a market ready machine available by the end of the year. No pricing for the 6061 has been set. Evoke’s current Urban Series electric motorcycles are currently available for around $9,500. That bike’s performance is significantly less than what is claimed for the 6061. So you can expect that the 6061 will come at a price premium over the Urban Series machines.